Quellan offers a GPS Noise Cancellation Starter Pack for its QHx220 RF noise canceller, an IC is incorporated into a handset to cancel electromagnetic interference (EMI) and improve signal integrity. 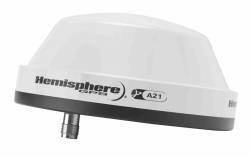 Typical applications are a sensitive GPS receiver co-located with a GSM/CDMA transmitter or a GPS system corrupted by digital noise. The QHx220 reduces EMI by taking the sampled interference source as an input and filtering the sampled signal to emulate and subse¬quently remove the incurred interference on the received victim signal. The QHx220 is composed of a channel emulator (CE) and two low noise amplifiers (LNAs) in the sampling path. The CE provides phase shift and attenuation to tune out the unwanted noise at the correction point. The LNAs pro¬vide the appropriate signal level to the channel emulator. Both the CE and the LNAs are controlled via an SPI bus. The QHx220 is designed in a standard 0.18 μm CMOS process requiring a single 1.8V power supply with a typical power consumption of less than 20mW. Ultra small (less than one square millimeter) QHx220 devices are available in a wafer level chip scale package (WLCSP) or in 3x3mm quad flat no-lead (QFN) packages. The starter kit includes two GPS noise detectors, two QHx220 evaluation boards, two USB to SPI interposer boards, two power/SPI cables, six SMA/Hirose cables, basic I-Q control software, and a user guide. Quellan Inc., Santa Clara, California, USA.